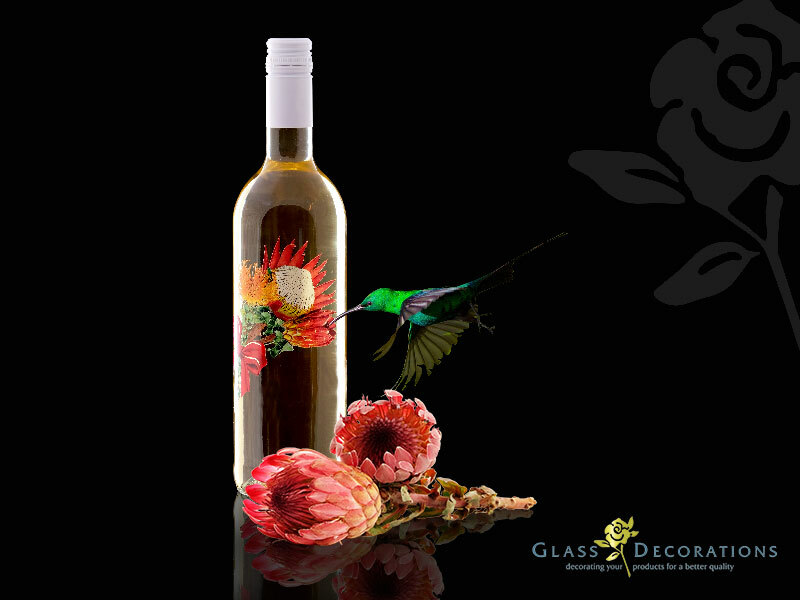 The Glass Decorations value add techniques and equipment offer the opportunity for an “instant make-over”; one specific bottle shape is completely transformed through coating colours, finishes and the addition of decorated and/or foiling elements. This allows our clients to utilise a smaller, more manageable range of bottles. Automized Organic coating and decoration offers the market a pantone array of colours. Foiling adds a flamboyant, metallic shine to logos and packaging and can be combined with all decorating and coating projects. A unique market service and offering exists via Glass Decorations where our client can achieve a one-stop value add service which would now also include PSL and Sleeving; thus enabling the capture of the entire value add market opportunity. The PSL Service offering enables a reach into various markets where low cost vs medium to high volume value add is the key driver. Sleeving can capture a design necessity where the entire bottle can be decorated even across the bottle curves.